Summary: In this interview published in 15th Anniversary Gyakuten Saiban Series Encyclopedia 2001-2016, director, scenario writer Yamazaki Takeshi and character designer Iwamoto Tatsurō talk about the two Gyakuten Kenji (Ace Attorney Investigations) games. Topics dscussed in this interview are how the two first met, how this spin-off project to the main series originally started, some more details about how Yamazaki had originally come up with a game that would star Akane (Ema Skye) as the protagonist, about what sets this game series apart from the main Gyakuten Saiban (Ace Attorney) games, character designs and finally, the two talk about a surprising mystery involving Yamazaki himself. Their First Impressions Of Each Other? Iwamoto: The first time we met, it was just like a standard meeting between senior and a junior employee. I said something like “So you’re going to work with Mr. Takumi. Must be tough,” I remember we talked how we both came from Chiba. The closest station to our homes was actually one and the same. Yamazaki: Hahahaha. It did go like that, didn’t it? Iwamoto: There’s like a mountain side and a sea side to the town, with the station right in between. Anyway, so I told him to do his best. That’s how it went. I had the same with Mr. Takumi, where I learned to be careful of men who act a bit childish (laugh). Yamazaki: At the time you were working at a different floor than Mr. Takumi, so I think I first saw you when you visited Mr. Takumi for something. Iwamoto: Oh, that was when I was working on Ōkami. But you joined in 2004, right? What happened right after you joined? Yamazaki: I joined in April and by then Gyakuten Saiban 3 (Ace Attorney 3 - Trials & Tribulations) had gone on sale already (release date: January 23, 2004). 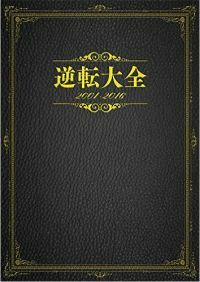 Iwamoto: Ah, right, Gyakuten Saiban 1 ~ 3 were released between 2001 and 2004! Yamazaki: When you quit the company, you sent an e-mail to everyone in the company saying you’d be quitting your job, and I answered to that mail too. That I was a fan of your work and hoped you’d do well in your future job. And you replied to me too. That really made an impression. Iwamoto: That I actually replied. I really can’t remember writing “thanks” back to you (laugh). Yamazaki: Hahahaha. No, but you really wrote a nice reply back. Something like “I hope we’ll be able to work together someday in the future.” Really! You really wrote that! And so we got to work together on Gyakuten Kenji (Ace Attorney Investigations) a while later. Iwamoto: It’s important to plant the seeds early! No, it’s really important to plant things ahead. It might grow in the future. After Gyakuten Saiban 3, I worked for about three years on Ōkami. And I quit with Capcom in your third year. So… that means you became a director in your fourth year!? Yamazaki: Yes. It was just luck though, nothing more than luck! Iwamoto: But luck is very important in this industry. I also got to work on Gyakuten Saiban in my first year. Yamazaki: Really. So you were already a character designer in your first year. Yamazaki: My impression of you had not changed a lot either from the time we first met. I really relied a lot on you as someone I could ask for advice. So we worked together from the stage we worked on the planning of the game. You’d say whether the things I wanted to do would be “Gyakuten” enough. Yamazaki: You really helped out a lot, so I thought you were such a nice senior! Yamazaki: Going back to before you were added to the team: there were talks about doing something like a side story for Gyakuten Saiban. So I wanted to become part of that. As I was basically still a rookie who had just a little bit of experience, my plan was to go with a small game project. In the end, the thing grew to become a separate Gyakuten series, but it really started from this idea we had, something like a mini game collection featuring the Gyakuten Saiban characters. It was also going to be the first title Eshiro Motohide would produce, so the whole thing was simply like a training course for this rookie duo of me and him. And then they said they wanted a Gyakuten Saiban game, but one without the trials. For example, a Gyakuten Saiban novel game or something like that. We discussed a lot of ideas, like a dating simulation where you’d raise your affinity stats with the characters. If we had seriously started on any of those ideas, I doubt they’d have ended up as small games though (laugh). Iwamoto: Never heard about any of that! (laugh) So these were all ideas before the project came to me, right? Yamazaki: I’ve always loved mystery fiction, and I also liked Gyakuten Saiban, so I wanted to create a mystery game. So I thought about a detective game without the trials, and arrived at the idea of chasing after the case at the scene of the crime itself. Then I contemplated on what roles there’d be at the crime scene, and I figured that playing as a forensic scientist could be interesting. So that’s why I decided I wanted to do a game with Hōzuki Akane (Ema Skye) as the protagonist. But then producer Eshiro said he wanted Mitsurugi (Miles Edgeworth) as the protagonist. He said that as the producer, he’d much prefer to have the popular Mitsurugi as the protagonist. I remember well how I fought with the producer about that…. You see… the producer has a really scary look…. Really, I remember I was all shaking on my feet as I told him: “No, we can’t do that!”. Iwamoto: Mr. Eshiro is, you know, a senior with a presence. Yamazaki: There were two reasons why I made a fuzz about it. First was that it would be strange to have a prosecutor as the protagonist of the game, but not have him go to the courtroom. Also, I had the feeling that if Mitsurugi were to be the protagonist, this couldn’t be a “small” project anymore and that it would become something bigger. Yamazaki: Yes, at the time. So I said we shouldn’t tread lightly now. That’s when we contacted you. Iwamoto: I see. I didn’t design Akane. As for Mitsurugi… well, I didn’t design him either (laugh). But I was only told about the project after Mitsurugi became the protagonist. That makes sense. But you told me several times that Akane was supposed to be the protagonist after that. Yamazaki: Ah, yes, I did say that back then. Iwamoto: And we did have her in the end (laugh). Anyway, I heard you brought something interesting today. Yamazaki: Yes. I brought some documents with me especially for this day. It’s dated October 2007, so that’s how long ago? Nine years? It’s not a proper proposal, but here’s the planning memo for the game with Akane as the protagonist. “Because Akane appears in the time periods of both the original three Gyakuten Saiban games and Gyakuten Saiban 4, the game will portray Akane as the protagonist across both those periods," it says, so that was apparently our plan back then. I guess. Iwamoto: So you’d also show the past, and portray the passing of the seven years! Yamazaki: We were thinking about making a jump each episode, between the duo of high school student Akane and Mitsurugi, and the duo of detective Akane and Garyū (Klavier Gavin) seven years later. Akane would have an item called the All-Purpose Glasses, which would enable her to see traces left on a crime scene you normally couldn’t see. That was the original idea that would eventually turn into Ichijō Mikumo (Kay Faraday)’s Nusumi-chan (Little Thief). Iwamoto: It sounds pretty big already. Yamazaki: I agree (laugh). So you’d do forensic investigation to discover footprints for example, and follow them with mini characters. Or you’d perform forensic investigation, followed by a questioning. And as the investigation progressed, you’d be given “deduction quizzes”. Iwamoto: Yeah, “deduction quizzes” was a term that got mentioned a lot back then. Yamazaki: We did talk a lot about it. I have another file here. It’s the early proposal from after Mitsurugi became the protagonist. At that time, the main flow of the game was you’d investigate, solve deduction quizzes, confront some rival police detective or defence attorney and finally reconstruct the crime scene. Iwamoto: Oh yeah, I remember now. I think I mentioned early on I loved games like that. I asked whether it’d be like Clock Tower. So I said I’d get working in it! Yamazaki: You did you did! After that, we arrived at the keyword Logic System, and that’s when we made the final version of the proposal. Iwamoto: This early proposal has a lot of characters already though. Yamazaki: It does. Zinc Blanc is here for example. The episode set at that airplane was actually the first we made. At first, that episode was supposed to be the first episode. But the airplane was too big a setting for the opening episode, so we added a different first episode set at Mitsurugi’s office. Iwamoto: I see, I see. Yamazaki: So at first we had simply put Mitsurugi in the proposal initially mainly created for Akane, so then came the period where we had troubles coming up with a concept that truly featured Mitsurugi as the protagonist of the game. We eventually ended up with the concept of a game where you became Mitsurugi yourself and experience how it was to make magnificent deductions yourself. That’s how we came up with the logic system. Iwamoto: I remember I was surprised you still had to make proposals so late. I was already illustrating, but you were still working on proposals!? I thought. But that’s the difference between the tasks of the director and those on the floor, I guess. Iwamoto: I remember we said it’d only make sense if we had a Gyakuten Bengoshi (“Turnabout Attorney”) to contrast with Gyakuten Kenji. Yamazaki: In the end, it was decided that simplicity was the most important. I think we also had an idea like Mitsurugi Reiji no Jikenbo (“The Case Files of Mitsurugi Reiji”). Iwamoto: But the original title Gyakuten Saiban (TN: “Turnabout Trial”) is pretty weird too (laugh). I’d like to you really think closely about it, without any of the knowledge you have now (laugh). Yamazaki: So you mean we just got used to it!? Yamazaki: In my opinion, it’s definitely that it’s a detective story. I think that you can’t go without that foundation, without the surprises that detective stories offer, without the fun that deducing yourself offers. And as it has “turnabout” in the title, things have to get turned around. I also think that because we decided it’d be a game where you could experience yourself how it was to be Mitsurugi, the game allows you to make different kind of deductions compared to the main Gyakuten Saiban games, even if both are similar mystery detective games. In Gyakuten Saiban, you look for contradictions between evidence and testimony, so you’re looking for differences, but with the logic system, you’re looking for common points to make connections. They are like mirror-sides, so they each have their own unique feeling. And as the concept revolves around Mitsurugi, so with everything we did, we had to consider how it would work in relation to Mitsurugi. What kind of cases would the prodigy prosecutor Mitsurugi encounter, what kind of opponents would he face? As a result, we ended up with many large-scaled cases and grand opponents. The logic system also came from the idea we wanted players to experience how the prodigy prosecutor would make connections between all kind of information within his head in an instant. I remember we were really focused on having Mitsurugi at the center of everything. Right? Iwamoto: Huh? What? Oh, sorry, I wasn’t listening. Oh, no, I mean, I got thinking about the differences between Gyakuten Saiban and Gyakuten Kenji, so that filled my mind. I’d the difference is that we look at every character from an angle. In Gyakuten Saiban, we’d see the reactions of the prosecutor and the attorney from an angle, but in Gyakuten Kenji, we also did all those animation of when the murderer is cornered from an angle, from the side. I had thought I had used up all my ideas for the first three Gyakuten Saiban games, but once I started thinking about how we'd be looking at them from the side, I came up with all kinds of new ideas…. I think I already said that in an interview back then (laugh). But as I look at them now, I still see all the ideas that went into them. Like this one, what was her name again? Ayato? Yamazaki: Orito. Orito Himeko (Lauren Paups). Iwamoto: Her pluck of hair here. She threatens to cut it, but she never does (laugh). But the idea is that she has already cut her hair in the back. Perhaps you forgot? It was themed after O. Henry’s The Gift of the Magi. She bought the chain for her watch. But moving on from the talk about angles, I think we didn’t have much trouble with the murderers. But I really had trouble with that girl. Errr, Mikumo. We just couldn’t settle on a design. Yamazaki: We really struggled with her, didn’t we? Yamazaki: When we decided to have a heroine for Gyakuten Kenji, we thought about her compatibility with Mitsurugi. With Mitsurugi being “calm”, we needed an “active” presence. So we talked about having an active girl who’d get Mitsurugi involved in all kinds of things. Iwamoto: Active and passive were the foundation. Yamazaki: Precisely, but it took quite some time for us to get from the point we thought this would be a good idea, to the arrival at the idea of her being a thief. I think we had quite a few turns back then. Like a young detective, or making her like a phantom thief. Iwamoto: I had designed rival characters before, but never the heroine, so that was perhaps a reason why it took so long. And all of us were rather picky about her. Yamazaki: Yeah, perhaps we gave her too much attention and focus while designing her. Iwamoto: The director, the producer, the character designer… I think we were all not quite sure what we wanted. But I guess you don’t really want to be reminded of that…. Iwamoto: I kinda remember somebody saying that, but I’m not sure whether it was Mr. Eshiro…. Yamazaki: It was definitely him! He said that the design was a bit empty there…. But you’d said the way of this series was to have the characteristics focused on one spot. Iwamoto: Cause it’s a sprite-based game. So you need to always remember that we’ll recreate the design as a sprite, and much smaller. Wasn’t Mr. Eshiro the one most enthusiastic about this?! (laugh) But anyway, we arrived at the idea of her being a thief, but then we asked the question whether we should have someone who steals supporting the protagonist (laugh). Yamazaki: “But she’s a honorable thief! And she has never stolen anything!,” I’d say. She isn’t able to actually steal anything. In principle. Even if she says she’ll steal something, Mitsurugi would stop her, so the idea was she’d never actually steal anything. But for example the writers for the stage plays and the comics actually tried to have her steal things (laugh). Sorry everyone, but she can’t actually steal anything…. Yamazaki: We had to have both Gyakuten Kenji and Gyakuten Kenji 2 (“Turnabout Prosecutor 2”) take in place within a span of only two weeks within the game timeline. That was really difficult. As for why it had to take place within two weeks: that was the time we had between the end of the Gyakuten Saiban 3 and the case where Naruhodō (Phoenix Wright) lost his attorney’s badge as portrayed in Gyakuten Saiban 4 (Ace Attorney 4 - Apollo Justice). If we had taken any longer, we would be forced to touch upon that case. We would have needed to show what Mitsurugi was up to during that period, but that was way beyond what I was able to do. But we turned that condition around and changed it into something positive: Mitsurugi is incredibly busy in these, solving one case after another, turning the games into something like rollercoaster experience. When I think about it now, I think this was for the best. There are also characters from the Gyakuten Kenji series that became popular too, so I do find it a bit of a shame we didn’t get to see how some of them developed over the years. Oh, now I think about it, I think this is the first time I did an interview on Gyakuten Kenji where it’s alright to spoil the story. Iwamoto: What!? There were quite a lot of things I’d wanted to talk about back when the games were still recent. Did I tell you how Sheena (Shih-na)’s tongue’s forked? The inside of her mouth isn’t that pronounced actually, so it’s hard to tell, but it should be visible in the sprite of her breakdown animation. I remember I made sure of that. Yamazaki: That’s something you like to focus on. Iwamoto: I always play a bit around where it doesn’t show actually. It went well with her laughing personality. She’s all cool the whole time, and suddenly laugh uncontrollably. I wanted to shock the players with that. Iwamoto: But as a reaction, it was controlled really tightly for Gyakuten Kenji 2. Yamazaki: We had a lot of final boss-esque characters appear there to hide the true final boss. Iwamoto: Characters that have the presence of a last boss… Miwa Mari had that, and Hōinbō of course too. Yamazaki: The president (Ō Tenkun) that appeared at the beginning too, Koroshiya Sazaemon (Shelly de Killer) too. Iwamoto: Koroshiya Sazaemon was already basically a final boss in Gyakuten Saiban 2 too. So we had that parade of bosses to hide Sōta. He too has a different form, or a second animation pattern, so in that sense he’s like Sheena, confronting you with a different form. I wanted him to act like a character like Yahari (Larry Butz), so I did my best at hiding him. Yamazaki: I think it went very well. As for me, I wanted to have someone you saved once already to be the final boss. For the last episode, we had a circus, so I also added a hot-air balloon. Iwamoto: Control, control (laugh). You’d think he was only there to make the mood livelier. Yamazaki: It was difficult making the breakdown animation of Sōta. Iwamoto: That was a difficult one. We had troubles getting it on screen, so we really had to force it in. I think the gorilla was the problem and we had to have a programmer put it on for us. Yamazaki: Yes, I remember it had to do with the amount we could get on the screen. It was way over what they had estimated. I remember they did some special processing so we could get it on the screen. Iwamoto: Yeah, that’s right. The squirrels were a problem too. The one where the three squirrels become juggling balls. We also needed the character to speak in this state, so once the character started this animation, we needed to add a program especially to move the squirrels on top of all that or else it wouldn’t work. It was controlled separately, to speak of the details. Yamazaki: That’s really a detail (laugh). Iwamoto: He always had his arms down, and he’d be holding rabbits in both hands when taking damage, and him being kicked by the cat as revenge, things like that. Yamazaki: You really add in little details, don’t you. Iwamoto: The milk Shimon is holding is “UC Milk” (TN: UC = Ushi = “cow” in Japanese) for example. The animation where he moves his mouth like that is based on the image of regurgitating cows. Yamazaki: Ah, now you mention it, it does look like that (laugh). So you have concept that every players needs to pick up, but also ideas that intended only for those who get it. Iwamoto: There are of course concepts that absolutely need to be conveyed. So I play with the things that don’t necessarily need to be conveyed. Thanks for letting me fool around like that (laugh). Yamazaki: As it was my first job as a director, Gyakuten Kenji was all I had in my mind. I look back now and think how crazy it was I was working on that game even though I had no experience at all. Iwamoto: And I got caught up in that. Yamazaki: I am really grateful you were there to advise me. And producer Eshiro used to be a director himself too, so he taught me a lot about how to direct a game. I remember you all really helped me out. Iwamoto: And you only started out four years earlier at Capcom. At one hand, you were motivated, but still inexperienced, something like that, right? You were 27, 28? Perhaps it was the worst possible situation for all those who had to work with you (laugh). But I found it a pleasant job. Yamazaki: Really? I really Mr. Eshiro telling me you told him I was surprisingly hard to work with (laugh). Iwamoto: But I am even harder to work with actually. Even if I say it myself. I remember you all supported me throughout. Watching over me like we were married. Taking over whenever I gave up. Yamazaki: No, no, no. I thought it was nuts back at the time, but that’s okay. I was just too young. Iwamoto: I should have told you back then you could being young was a good thing. Yamazaki: I was just too desperate. For example, when I wrote Gyakuten Kenji, but also when I wrote Gyakuten Kenji 2, I stayed cooped up in a room the whole time to concentrate on writing the scenario. Have you ever heard of a director locking himself up in a room and remaining absent from the development floor? Iwamoto: I have seen that often actually (laugh). Yamazaki: I think I caused trouble for everyone in the team back then. But I did feel people needed to work a bit harder on things. But I also feel I should have felt when it was good enough. I was really full of passion back then. Oh, not that I’m out of passion now! But I remember I was all heated-up back then. Perhaps that was also good. Do your best, I want to tell myself back then. Yamazaki: I might have been too lax with my checks (laugh). Iwamoto: I want to tell my past self how great it is I was able to use the ideas I came up with. Yamazaki: I was thinking about telling my past self about how he’s causing trouble for his team and tell him to take a step back and look at the whole image, but on the other hand, perhaps it’s good he went so far. Different times, different measures. Yamazaki: So my last job interview with Capcom was held in the fall or winter of 2003. Iwamoto: Oh, that’s late! That’s long after the usual employment track. Yamazaki: So I asked about the release date of Gyakuten Saiban 3 at that last interview, and they told me they couldn’t tell me. Iwamoto: It had been planned for a release in 2003, but it got delayed and the higher-ups were very angry (laugh). Yamazaki: So you all got scolded behind the scenes of my job interview? Iwamoto: Oh, not me. Mr. Takumi was (laugh). Yamazaki: So when I was told I was hired, they told me to write a report on what I thought of Gyakuten Saiban 3 as homework, which I did. Iwamoto: Who gave you that homework? Yamazaki: You see, I don’t know. At least, now I don’t know. So I wrote what I thought was good about each episode, and what could’ve been improved. I was not sure whether I should write about what I thought was not good, but I thought I needed to. So I’d write that this or that trick was a bit odd or something like that. Iwamoto: Because you need to show the way you think. Yamazaki: So I bumped into Mr. Takumi yesterday, so I brought that story up, ten years later. And he told me he never laid eyes on that. And I was like “No way!” (laugh). Yamazaki: I figured that if they gave me homework like that, it meant they were going to assign me to the Gyakuten Saiban team, so I thought that Mr. Takumi would definitely read it, but he told me he never read my report (laugh). Iwamoto But that means… is this story true? You have no proof, nobody has read it, I haven’t heard of this either (laugh). Yamazaki: It happened, it really happened! I also had to write a bit about myself together with that homework, and I remember Mr. Takumi and I went through it quickly after I joined the company, so I thought that Mr. Takumi had also read my report. Iwamoto: Haha, that’s funny. Now I want to dig up that file. Perhaps it’s still kept somewhere at Capcom? Yamazaki: I didn’t hand in a file. I remember I printed it and sent it there. So I’m afraid there might be no trace left of it in this world anymore (laugh).